New York City’s icon and a World Heritage Site, the Statue of Liberty, was closed last year for repairs and renovations, a day after its 125th anniversary. After spending $30 million on making it wheelchair accessible and repairs on stairs, the epic site is reopening this Sunday for visitors. October 29, 2012 marks the 126th anniversary of the monument and visitors using wheelchairs will be able to visit one of the observation decks, located near the feet of Lady Liberty, for the first time. The renovations include new staircases to allow visitors to better traverse the statue’s pedestal and observation platform, as well as an emergency elevator. Visitors need advance reservations to ensure they’re able to go inside the monument. Reservations are now available through the end of 2012. The Statue of Liberty is expected to reopen by July 4, 2013, Secretary of the Interior Ken Salazar announced today. The iconic landmark has been closed since October 29 due to infrastructure damage caused by Superstorm Sandy. 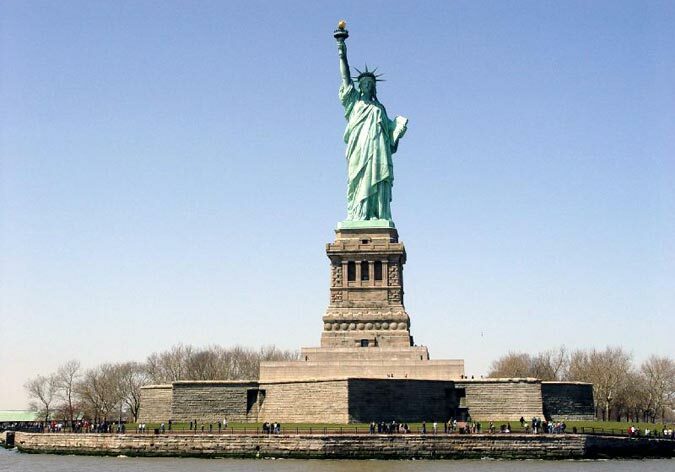 Tickets to visit Liberty Island from July 4 to Sept 2 may be purchased online or by phone, (201) 604-2800, with Statue Cruises. Because of high demand, reservations are strongly recommended. –Access to the crown, museum and pedestal inside the statue ($20 for adults, $12 for children). Tours also include a stop at nearby Ellis Island National Monument, but access to the immigration landmark may be limited on July 4 and beyond as work continues to repair storm damage.